A new concept in mortice door locking systems - a single push or pull motion unlocks the latch and opens the door simultaneously. It does not require a gripping action on the handle, and is convenient for children or physically challenged persons. The handles are extruded in solid brass, meticulously polished to create a brilliant finish. 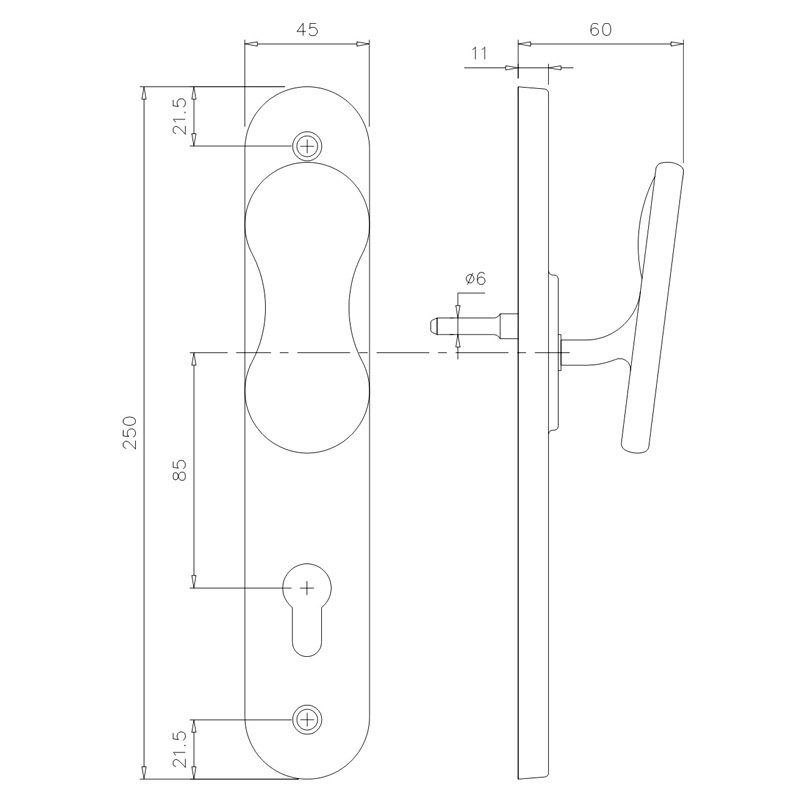 Heavy duty locking system for wooden doors hinged on the left or right, opening inward or outwards. 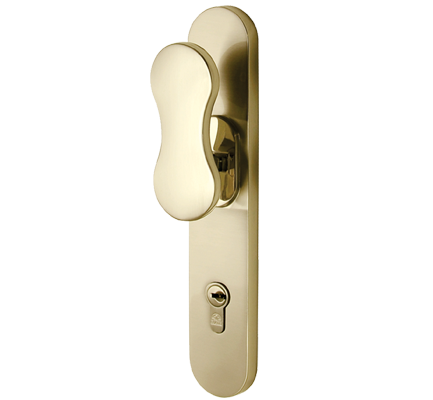 Standard locking system is suitable for doors from 30 to 65 mm in thickness. Special accessories for double doors are also available. It has a click-reversible latch mechanism that can also be operated with the key. Case: Steel case, powder coated finish; Case Depth 85mm; Backset 57mm. Bolts: 2 nickel plated steel bar bolts with an extruded brass section bolt with hardened high carbon steel alloy pins ; Bolt Length 20mm. Striker Plate: Steel plate, nickel plated finish. Latch: Extruded brass section with stainless steel roler. Cram: Extruded brass section, electrophoretically lacquered/ nickel plated finish. Pincylinder: High security euro profle pin cylinder with choice of 3 or 5 nickel plated keys. Pincylinder available in 65, 70 & 75mm lengths. Handle Plate: Forged & extruded brass.